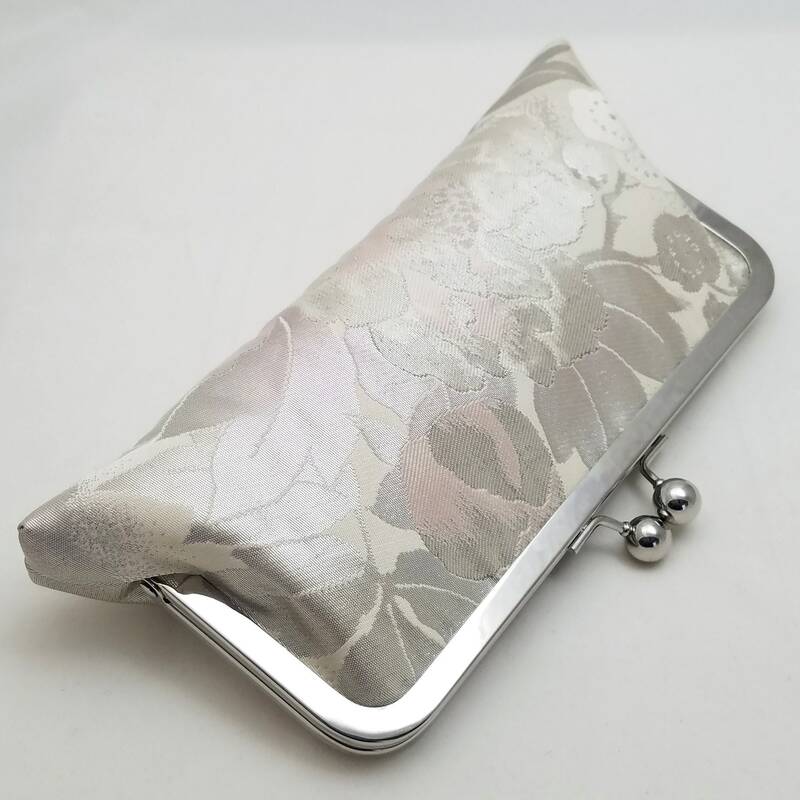 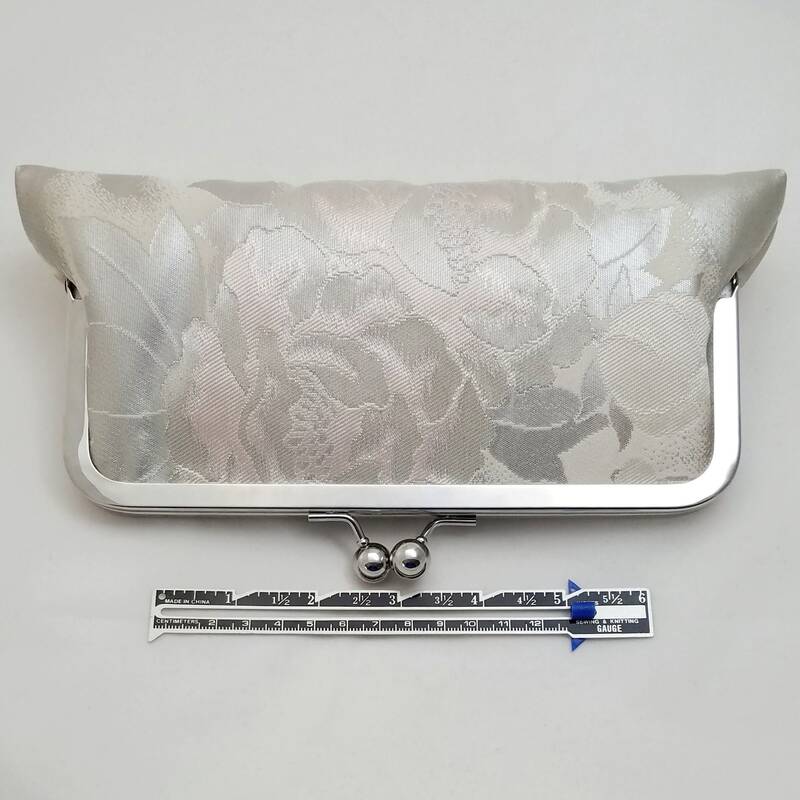 This clutch bag was created with a vintage silk obi. 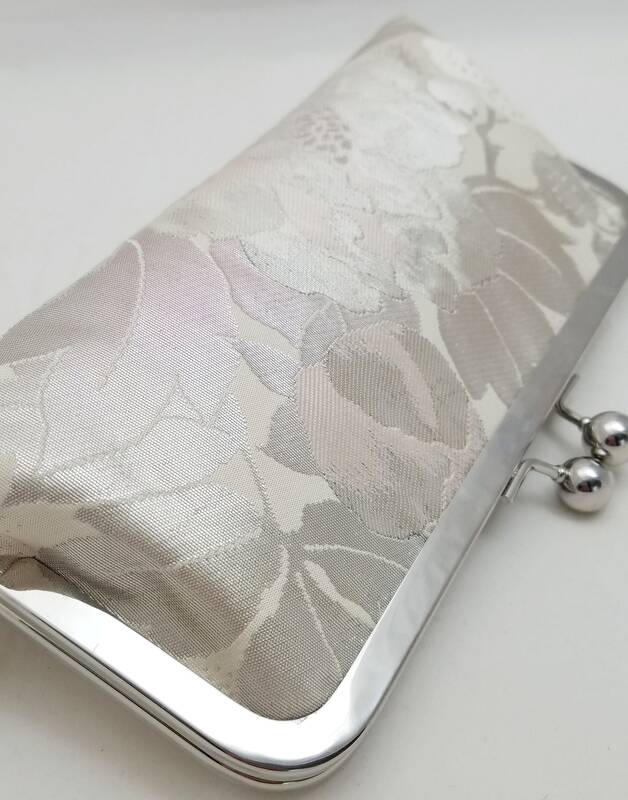 The woven silk has silver and pale pink peony, plum blossoms and foliage over a light cream-ivory colored background. 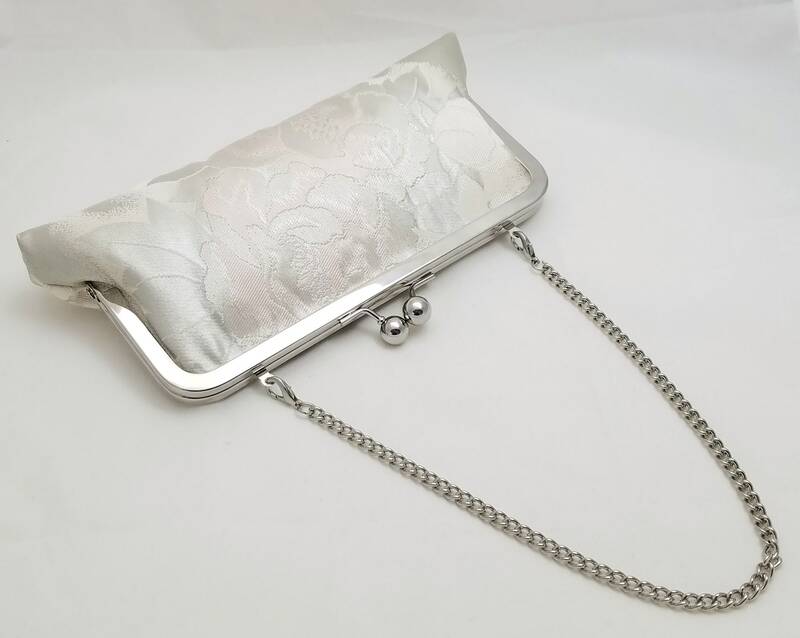 The silk and woven accents are highly reflective making the colors of the clutch very dynamic and difficult to photograph. 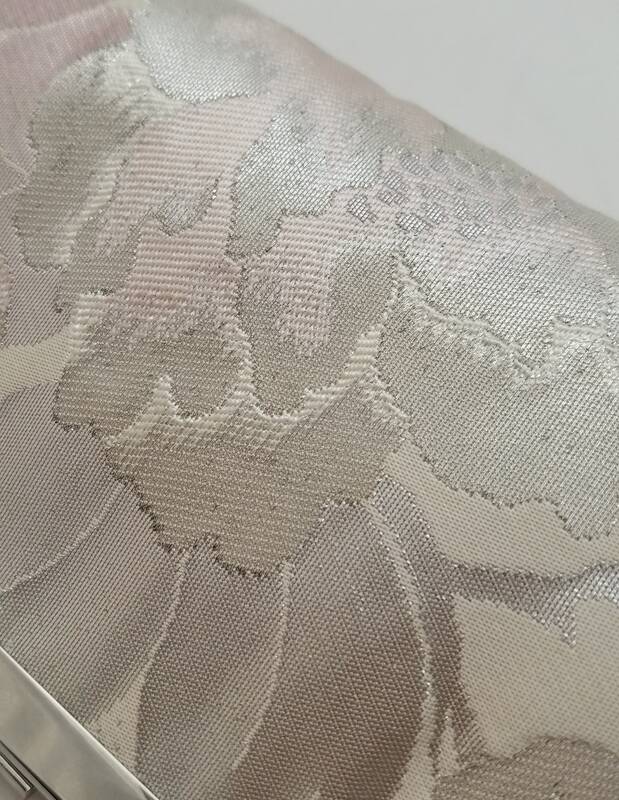 The pink and silver hues will change in intensity depending on the light. 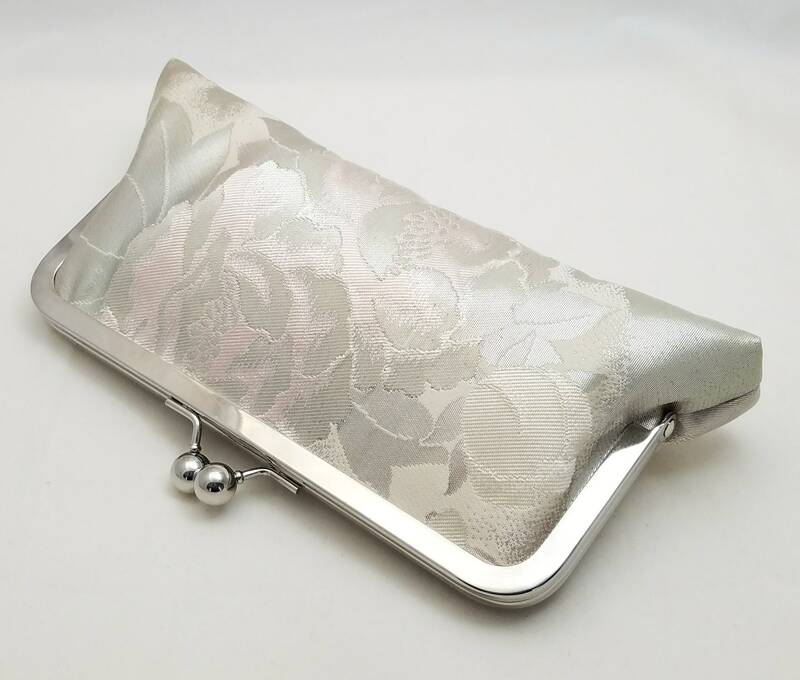 The entire clutch appears to shimmer in the light and is much more beautiful in person. 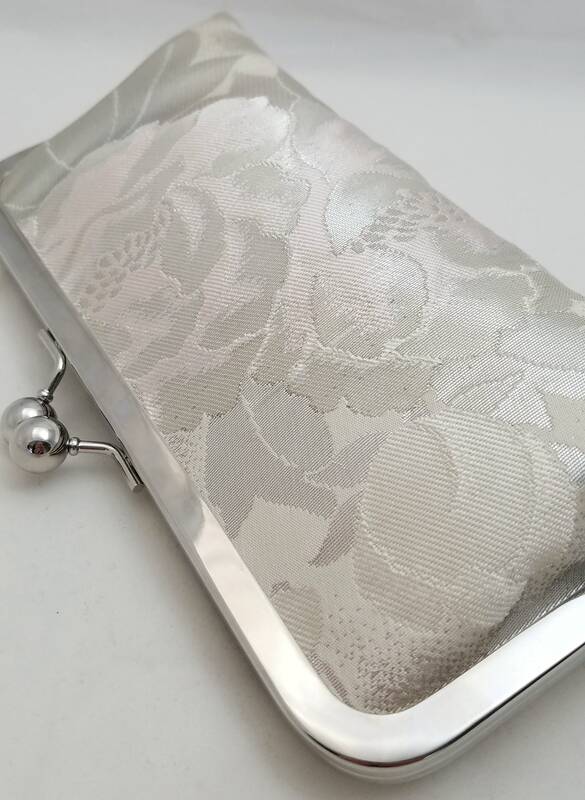 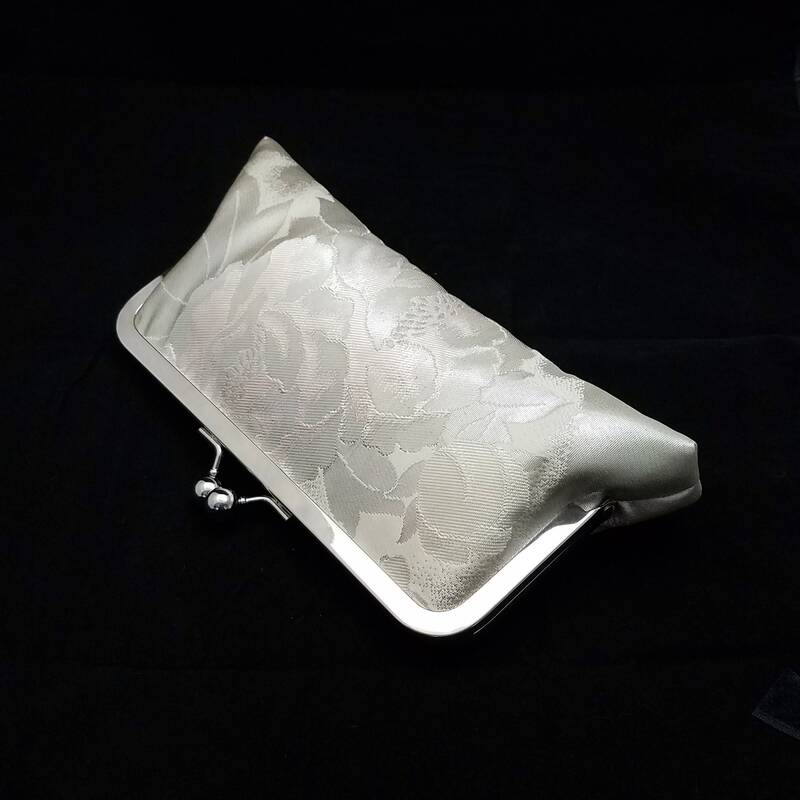 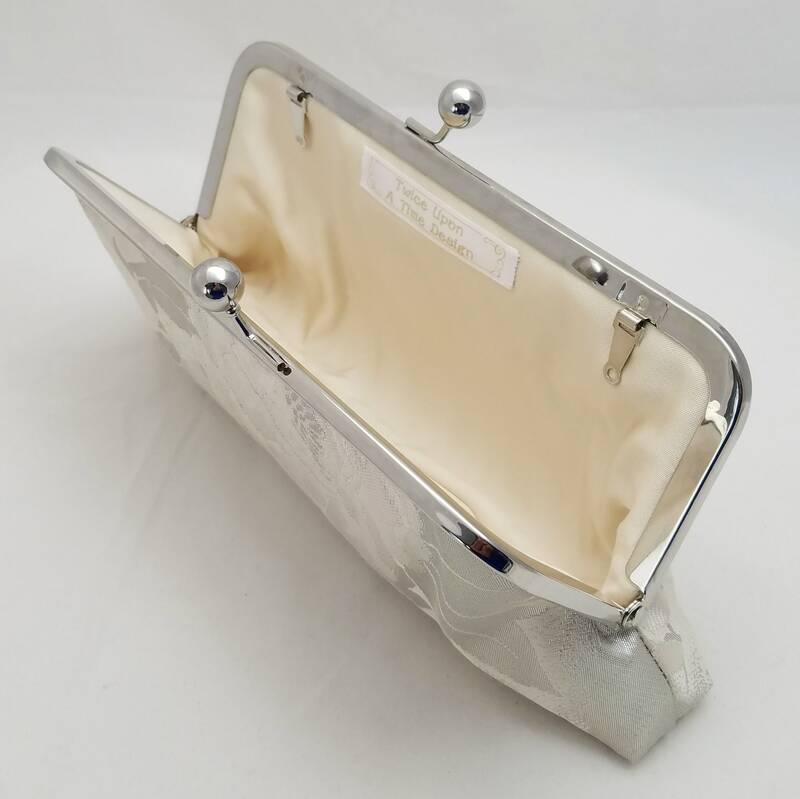 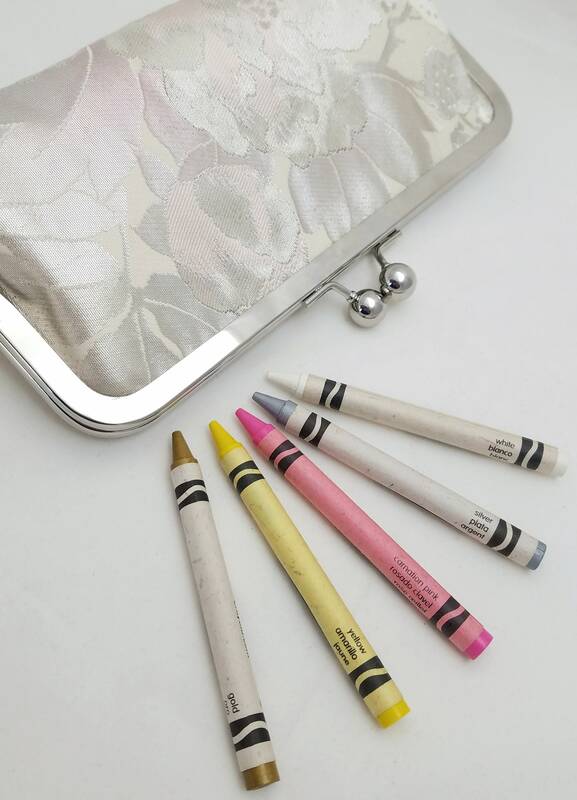 The interior of the clutch is lined with a beautiful, ivory colored silk.